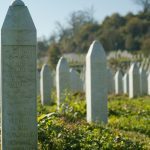 Leading voices from public life speak on why they are supporting Srebrenica Memorial Day, and what lessons can be learned from the genocide of 1995, which claimed the lives of over 8,000 men and boys, and scarred the lives of thousands more. “I think it is vital that we continue to hold in our minds and our hearts the terrible events that occurred in and around Srebrenica in July 1995. After the Holocaust we said ‘Never again’.